I am almost out of words. There's so much I want to write about but first of all I don't even know where to start. I got a text on facebook yesterday. It was from a girl named Kat. She is from Germany. I read the text so many times. I was sitting downstairs, in a bed that is'nt mine. I was listening to some good music, really tired from working seven days in a row. And there was Kat. "Going onto your blog is part of my daily routine when I open the internet." What? How can that be someones daily routin, I asked myself. "It gives me and a lot of other people faith and strength." And again, what? My blog? My texts? I can't find the words to say how much this means to me. How magically much I appreciate that you, Kat, took your time to write this to me. And from now on, I am going to try to write the most of my texts in english. "I keep checking your blog to see if you posted anything new (this is the part where I thank google translator for existing." I mean, wow. And of course, I want Kat, and the other people that's reading my blog from other countries, to get the best out of my texts. And I don't want them to work so hard to being able to read. So, from now on, it's more english than swedish here. Yesterday morning it was crazy cold here. I decided to take my car to work. When I came home, at like 14:00 it was SO warm and I could lay outside with bikini. This is the typical swedish autumn, at least in the beginning of it. 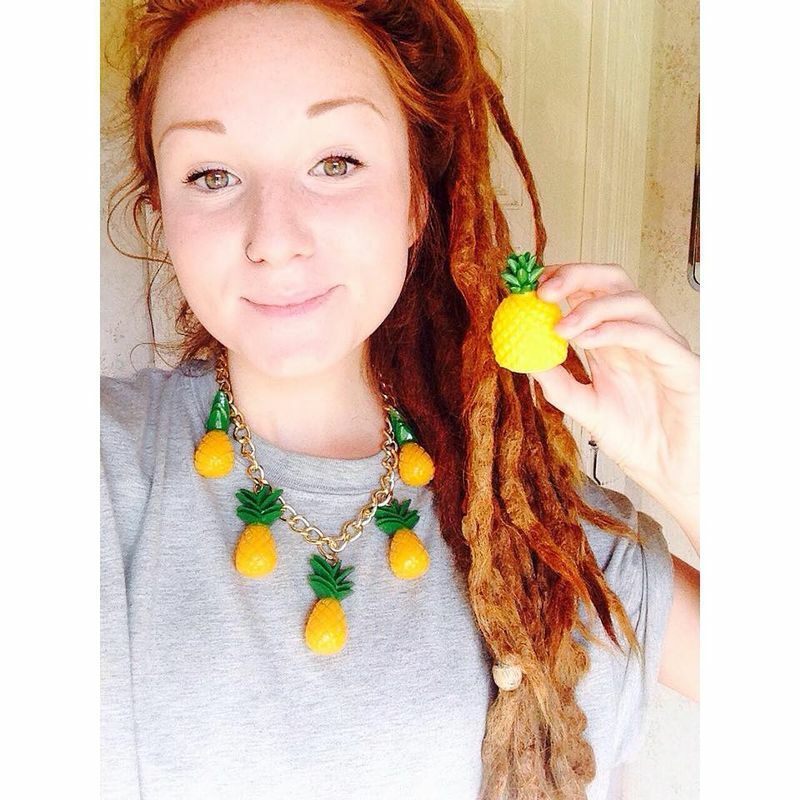 Then I decided to take a picture with my lovely pineapple-necklace. Yeah. Goodnight, sweethearts.